Let’s face it, the holidays can be stressful. Sure- it’s great to get together with family and friends to celebrate the season, but sometimes that takes a lot of preparation and planning, which can really wear you out- am I right? So don’t forget to pencil in some time to treat yourself at the Spas of the Wisconsin Dells this holiday season. From facials to massages to deep soaking pools- the Dells has everything you need to melt away that stress so you can be fresh and fabulous for your holiday guests and parties. “Energize Your Soul” has always been the mission at the award-winning Sundara Inn & Spa. Since opening their doors in 2003, Sundara has helped hundreds of thousands of individuals relax and rejuvenate. This year, Sundara has added a major expansion with the newest state-of-the-art methods to relax, all while being encompassed in beautiful architecture in a serene environment. With 13 new treatment and relaxation rooms, a salon with a view, a swim-up bar, an exquisite restaurant, and stunning new Woodland Suites, this expansion has taken Sundara Inn & Spa to the next level! 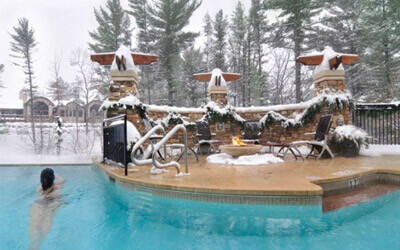 Located on the outskirts of Wisconsin Dells at the Chula Vista Resort & Waterpark complex is Spa del Sol. Relax in one of Spa del Sol’s 6 beautiful treatment rooms. Enjoy a traditional Swedish massage or take things to the next level with a deep tissue massage, perfect for relieving tension and back pain. Say goodbye to sinus pressure with Spa del Sol’s unique soothing sinus treatment. You’ll love how rejuvenated, smooth and fresh your face feels after one of the facial treatments. The spa is also home to manicures, pedicures, a year-round hot spring and more. 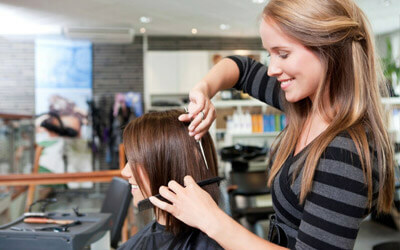 La Petite Salon & Spa is a full-service salon and spa that has been locally owned and operated for over 45 years. The staff at La Petite is knowledgeable, friendly, and will have you on the fast track to relaxation in no time! Located on a peaceful street off the main drag, La Petite’s homey look and feel provide the perfect setting for an afternoon of spa treatments. We recommend signing up for one of La Petite’s hot stone or Swedish massages. The hot stone massages use heated stones and aromatherapy oils to sooth the body and the Swedish massages use deep, kneading strokes to improve circulation, relieve stress and promote ultimate relaxation. La Petite also provides waxing, makeup and hair repair sessions, along with facials, body wraps, tanning and more! You’ll slide beyond relaxation at Spa Kalahari & Salon. Rejuvenate your mind, body and spirit with luxurious massages and amazing body and skin treatments. You won’t be disappointed with Spa Kalahari’s signature massage. This full-body massage features African healing massage oils and hot stone massages on the back, neck and shoulders. If that wasn’t enough, the signature massage package also includes hand and foot massages with nourishing foot cream. If you aren’t in the mood for an in-depth massage, Spa Kalahari offers a variety of facial, skin care, waxing, nail and hair treatments.